I think I really got into this crab-eating thing after living in Singapore for a short while. 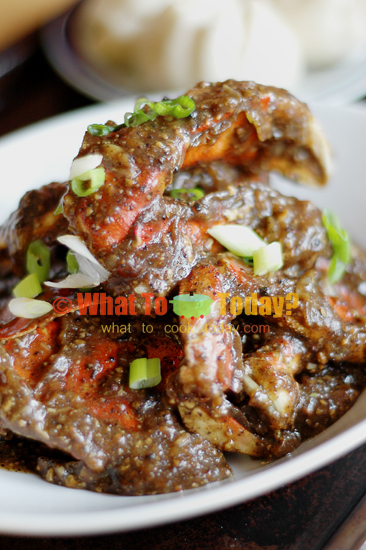 Singaporeans are proud of their chili crabs and black pepper crabs. When I went to seminars few years ago here in the U.S, the guy shared with us that he loved the chili crabs when he had his seminars in Singapore. 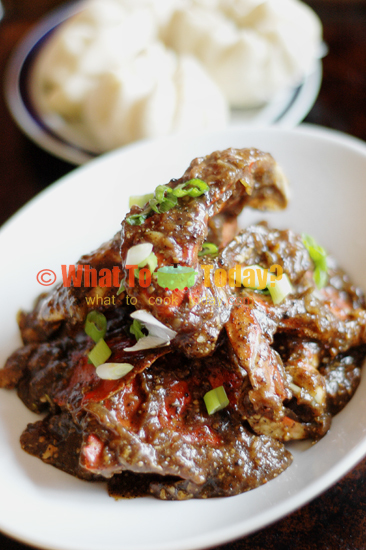 The recipe I’m sharing here is black pepper crab. The sauce is made from crushed white and black peppercorns, shallots, garlic, butter and some seasonings. It is spicy. A different kind of spicy from chili. The spiciness hangs around in your throat instead of your tummy. Kinda addicting though, especially if you like this kind of spiciness. It is usually served with a deep-fried/steamed plain Chinese bun. Dip those buns in the sauce….yeah…you’ll forget about everything else.We were so busy licking the sauce off our fingers. I must warn you though, this is not for the faint of heart. It’s peppery spicy for real!! !